The question "why look to retire in Europe" is very easily answered by another question? Add to that the smells and sights and tastes of Europe: the whiff of fresh Italian espresso, the aroma of freshly baked pizza, rich Swiss chocolate and fresh bread and artistic pastries of France. Red wine from France. The fresh vegetables at the weekday market. Paella from Spain. Tangy, spicy Portuguese chorizo. An endless collection of mouthwatering culinary delights. All this plus a great variety of European lifestyles adds up to some of the worlds ultimate retirement options ... and some of the most expensive. Per capita Europe contains many of the worlds wealthiest nations. So countries like Germany and Switzerland and the Scandinavian countries are feasible retirement options only for the very wealthy. In addition a number have quite stringent requirements for retirement immigration. However to retire in Europe also offers more affordable options in countries like Portugal, Italy, Greece and Spain (the so called PIGS nations), France and the islands of Malta and Cyprus. Not all areas of these countries are necessarily affordable but out of the main cities and popular locations it is possible to find 'la dolce vita' at a good price. These countries are steeped in history. Their cultures are varied and there is the fascination of the variety of languages. Most of these countries are reasonably politically stable. Although countries like Spain, Portugal, Italy and Greece are faced with excessive debt, ageing populations and increasing social benefit demands. So what are the benefits and appeal to retire in Europe? There are places where the cost of living is reasonable. Cost of living may be relatively expensive. Cheaper cost of living options can be found in the French countryside or the south of Italy away from the cities and “trendy” areas. A potential problem with these more remote places is that not many people speak English. However if cost is an issue, another option is to look at countries like Argentina or Uruguay. They offer a much more affordable "European" lifestyle and culture ... with much better weather! Living on the Mediterranean, where the weather is good you have the rest of Europe at your doorstep. The Mediterranean climate is characterised by warm to hot, dry summers and mild, wet winters. Further north the weather varies from the coast to the interior to the mountains. The coastal weather is moderated by the maritime influence, with more extreme inland temperature changes between summer and winter. In the mountain areas the winters are long and cold with mild to hot summers. So like the lifestyles, the food and the costs, the weather also provides many choices. What is the best way to retire in Europe? Do your research. There are extensive sources of information on the internet and another excellent source is International Living. But there is no better way than, try before you buy! Start your personal research with a nomadic adventure. Spend a short time in a number of places finding out which ones suit you. Out of the holiday season accommodation rentals in most places are very reasonable. You could also rent a camper and drive from from country to country and town to town. This will give you an ideal opportunity to try out a number of places before you find your favourite spot. Once you decide that this might work for you then make a commitment for a year. This will give give you the opportunity to experience the various seasons, learn the language and live the everyday life. Make sure that you understand the vagaries of living in a foreign country and the ins and outs of things like permanent residence and property ownership. In some countries it is very simple and in others very complex. Understand the local laws and how these might affect your estate. Even if this does not work out as planned it might be the beginning of an adventurous new lifestyle … living in a different country every year? Where's your Best Place to Retire? Is there a place that you are really passionate about? If so, we'd sure appreciate you sharing it with us​ with your comments below. A "nevertiree" facing the same retirement challenges as many others. 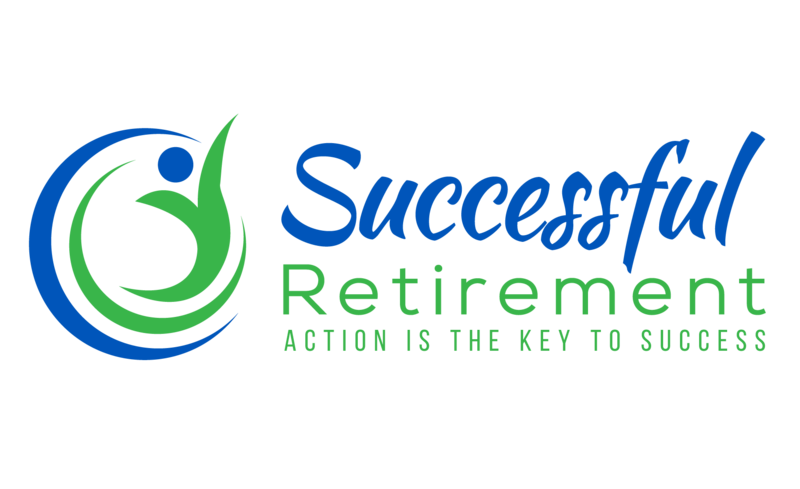 Let's discover how retirement planning can put you on the path to a create the retirement lifestyle and happiness you deserve and dream about.